The club has all the computer equipment needed for round tables, lectures, film screenings, jam sessions and other stage and hall events. The space is also appropriate for other social activities and entertainment. The multi-purpose hall is equipped with audio and lighting technical equipment that enables a quality execution of concerts, theatre and dance shows and similar events. 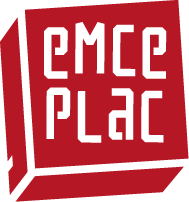 Want to perform at eMCe plac?